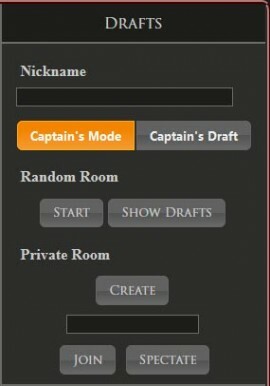 The Tool Dota 2 Draft helps you to pick awesome hero combinations in the Dota 2 captain’s mode and captain’s draft. It is a Dota 2 Drafting Simulator designed for people to make picking easy. But it’s more than that it is like a learn process that you achieve by picking again and again. After a time you get a feeling for what is a good pick and what not. The Tool gives you hints about picks and bans. 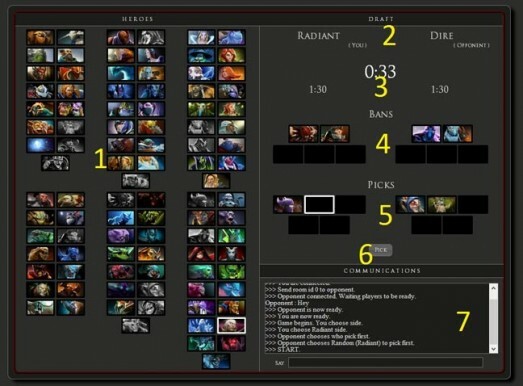 To test this just open a Dota 2 Draft Room. Now you need someone else to pick against you. If you want you can enter a name but this is optional. You can pick against a stranger (wait a bit) or create a private password protected room with friends. When your opponent enters the room the Website plays a sound. Now the party starts and you and your opponent will start to ban heroes and to pick some. This process will train yourself against friends or strangers. It is also possible to spectate running drafts. The Tool works pretty easy and you always see if it’s your turn or your opponents. Above is a chat to communicate. Now this is an important part of the tool. You get confronted how to place the heroes on the lanes. This is the captain’s job and you will learn that it is necessary to think about the laning at the whole picking and baning part. 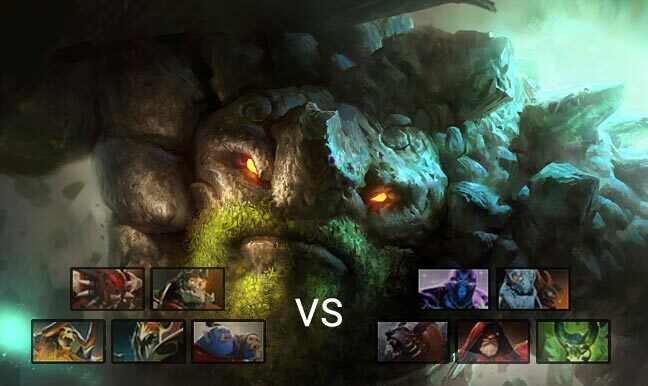 A strong Laning can decide much in the Dota 2 Match up.